Been lurking in this forum for a short time, thought I would go ahead and start posting. 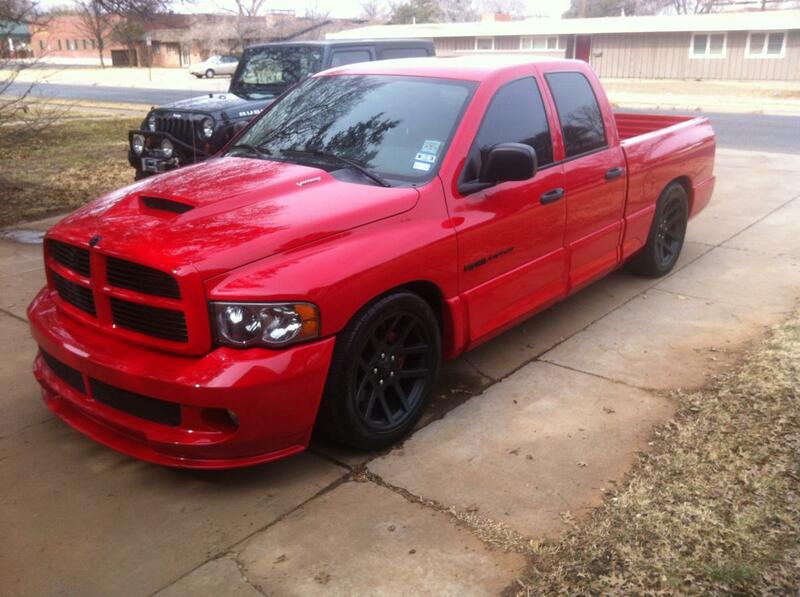 I have a 2005 Ram SRT-10 quad cab, and I'm planning on building a twin turbo system. To this point, I have installed a 2/5 drop kit, exhaust, plasti-dipped stuff black, and am in the process of converting the 4-speed auto to the 6-speed T56. Hopefully I will be finished with that in a month or so. I'm looking forward to furthering my knowledge of FI through this forum. I will be posting a build thread when the time comes. I look forward to your posts! I to have started a twin turbo setup. A couple of 62mm turbos . I have passenger side mounted on a homemade log type manifold.